Shipwrecked and cast ashore in Japan with no memory of Temeraire or his own experiences as an English aviator, Laurence finds himself tangled in deadly political intrigues that threaten not only his own life but England’s already precarious position in the Far East. Age-old enmities and suspicions have turned the entire region into a powder keg ready to erupt at the slight Shipwrecked and cast ashore in Japan with no memory of Temeraire or his own experiences as an English aviator, Laurence finds himself tangled in deadly political intrigues that threaten not only his own life but England’s already precarious position in the Far East. Age-old enmities and suspicions have turned the entire region into a powder keg ready to erupt at the slightest spark—a spark that Laurence and Temeraire may unwittingly provide, leaving Britain faced with new enemies just when they most desperately need allies instead. For to the west, another, wider conflagration looms. Napoleon has turned on his former ally, the emperor Alexander of Russia, and is even now leading the largest army the world has ever seen to add that country to his list of conquests. It is there, outside the gates of Moscow, that a reunited Laurence and Temeraire—along with some unexpected allies and old friends—will face their ultimate challenge...and learn whether or not there are stronger ties than memory. To ask other readers questions about Blood of Tyrants, please sign up. I honestly thought the last book was not so hot. This plot sounds awfully redundant. Is this book worth the read? George Was for me. Laurence on his own was interesting and different. And if this the penultimate novel, I'm definitely reading the last of the series! Something strange happened while I was reading Blood of Tyrants... I started to like Temeraire again. This series had me at 'Napoleonic Wars' and 'dragons', but while the first few books ranged from serviceable (His Majesty's Dragon) to standout (Black Powder War), by the time Empire of Ivory rolled around, these books had started to get bogged down in a Carmen Sandiego-esque need to visit exotic world locales and became less about the War or the dragon. For me, the series peaked at Napoleon's i Something strange happened while I was reading Blood of Tyrants... I started to like Temeraire again. This series had me at 'Napoleonic Wars' and 'dragons', but while the first few books ranged from serviceable (His Majesty's Dragon) to standout (Black Powder War), by the time Empire of Ivory rolled around, these books had started to get bogged down in a Carmen Sandiego-esque need to visit exotic world locales and became less about the War or the dragon. For me, the series peaked at Napoleon's invasion of England and began a downward slide soon after, and if it wasn’t for a few things here and there, I would’ve completely lost all hope. Crucible of Gold was one of those things and a step in the right direction, but as I said before, something's not right when Austerlitz and Jena get maybe a paragraph and there's chapters dedicated to African slave traders or setting up an Australian penal colony. I wasn't sure which Temeraire would be making an appearance in Blood of Tyrants, the Napoleonic War invested Temeraire of Black Powder War or the random globetrotting filler Temeraire of Tongues of Serpents, but to my dismay turned surprise, both. Since, in maybe a first for the Temeraire series, Blood of Tyrants is divided into three parts sufficiently distinct they can probably be read as easily as three separate novellas as one full novel, I’ll just talk about each part separately and why Part Three makes this the best Temeraire book in some time. Part One - if I could pretend this never happened, I would. As promised, Lawrence is shipwrecked in Japan and unfortunately this part involves the same kinds of excesses that made the last few books (Crucible of Gold somewhat aside) such chores to read. With the war raging in Europe, I could care less about what happens in Africa or Australia, and with the general narrative focused on defeating Napoleon, these side plots really provide no purpose other than filler that takes away from what’s supposed to be the main draw of the series. There’s just no point other than Naomi Novik telling us this is what happens to Lawrence and his crew, and while Novik does provide a glimpse of early nineteenth century Japanese culture with dragons, that doesn’t make this any less filler. Combined with Lawrence’s incredibly convenient amnesia which hardly affects the rest of the story and what even the book describes as useful, numbing minutiae, and Part One just seems like an intentional detour to drag out the book. Part Two - better, like on Throne of Jade’s level. Still missing one crafty French general, but the court intrigue in China at least doesn’t feel as blatantly filler as the shipwreck storyline. While nothing in Part Two is really needed to understand Part Three, it does pick up some loose plot threads from Throne of Jade and explain why China would enter the war, and this time at least the explanation makes more sense than the whole fiasco with the Incan Empire in Crucible of Gold. Plus, Novik likes to show off where the logistics of draconic warfare is concerned, so having the various strategies used by the British vis-à-vis the Chinese side by side make for some interesting comparisons. Skippable sure, but it’s interesting nonetheless. Part Three - where have you been all this time? I’m thrilled Novik finally, finally gets to what I’ve been waiting for ever since Black Powder War, an actual, honest to goodness campaign that doesn’t involve the heroes being sent to another continent while the battles are being fought. Napoleon’s back. He’s invading Russia. Lawrence and Temeraire are there. That alone makes Part Three way more worthwhile than anything that’s come out since Empire of Ivory, and seeing how Napoleon’s actual invasion of Russia has shaped Novik’s fictional campaign is a real treat. Too bad awesome villain(ess) Madame Lien is still missing in action and the book ends on a cliffhanger with the Russian winter, but I am totally stoked to see what comes next. Pretty standard rating from me (for this series). THIS BOOK IS ABOUT A MAN HE FORGETS HE HAS A DRAGON LIKE WTF NAOMI HOW DOES THAT EVEN HAPPEN. So. I won Blood of Tyrants from First Reads, although I'm still not sure why. I haven't won anything in a Goodreads giveaway in three years, I only rarely enter contests anymore, and my interest in the Temeraire series has been declining lately, but somehow, for some reason, I gave this contest a try and managed to win the book. Stranger things have happened, I guess. Like forgetting that one has a drago THIS BOOK IS ABOUT A MAN HE FORGETS HE HAS A DRAGON LIKE WTF NAOMI HOW DOES THAT EVEN HAPPEN. So. I won Blood of Tyrants from First Reads, although I'm still not sure why. I haven't won anything in a Goodreads giveaway in three years, I only rarely enter contests anymore, and my interest in the Temeraire series has been declining lately, but somehow, for some reason, I gave this contest a try and managed to win the book. Stranger things have happened, I guess. Like forgetting that one has a dragon, amiright? Yeah. So. William Laurence, a man who has a dragon--and who has had said dragon for the past seven books in this series--wakes up in Japan with no memory of the events of the last seven books, including his dragon. Amnesia! That's totally original and has never been done before! Fortunately (and conveniently) he is fluent in Chinese, so when the Japanese household that rescues/captures him discusses his fate in Chinese for some reason, he's able to understand them and escape to the coast, where he is reunited with the dragon he doesn't remember having and continues on a planned trip to China where his amnesia continues to interfere with the story until everything fortunately returns to him at the most convenient time. Then, with an army of dragons lent by China, he goes off to Russia to fight Napoleon. WHICH IS WHAT SHOULD HAVE HAPPENED ALL ALONG. So. I've been a fan of the Temeraire series from the very very beginning, and have been rather forgiving of the various adventures which Laurence and the dragon Temeraire have had, but this is just ridiculous. Amnesia? C'mon, was that necessary? L&T couldn't have gone directly to China without incident, gone through the exact same trials to secure China's help in the war against Napoleon (though this time without the burden of Laurence having no memory of the previous seven books), and then gone on to Russia where the main focus should have been all along? Devoting a full third of the book to a pointless side adventure miiight have worked in earlier books (and often did), but this late in the series it's rather a waste of time, dontcha think? It sounds like the next and final book will continue the war in Russia, unless Laurence is suddenly sent to Norway to observe the habits of ice dragons or something, but the page count devoted to this soap opera amnesia story could have been employed for something better. I guess i'm the only person who didn't mind the amnesia plot? Given that the Temeraire books are not exactly a font of deep and introspective characterization, even a fairly cheap device like amnesia was fairly effective at wringing some out. I don't know if this is a particularly unusual way to read the books - my impression is that i'm in a minority, anyway - but I've always cared a great deal more about Lawrence than I have about Temeraire. Temeraire is just kind of twee and cute and modern p I guess i'm the only person who didn't mind the amnesia plot? Given that the Temeraire books are not exactly a font of deep and introspective characterization, even a fairly cheap device like amnesia was fairly effective at wringing some out. I don't know if this is a particularly unusual way to read the books - my impression is that i'm in a minority, anyway - but I've always cared a great deal more about Lawrence than I have about Temeraire. Temeraire is just kind of twee and cute and modern politically correct all the time. Lawrence actually has a fairly complex and difficult character arc buried under all the reticence and good manners (well, and a degree of authorial disinterest), from having his whole life upheaved, reassesing his sense of duty and doing it all while, at least in the early books, still being a product of his time. I'm beginning to lose track of all the war stuff and who is against who and the dragon emancipation business which feels like pandering to reader sensibilities. I could, however, spend a whole book reading Lawrence having awkward conversations with his mother and trying to decide who to promote to lieutenant. I love spending time with Temeraire and Laurence. This book has three distinct storylines, and contains hardship and confusion, struggle and defiance, reunions and sunderings, adventure and humor, and sometimes even sweet success and exultation. And war, when they meet up once again with their arch nemesis, Napoleon. These dragons are naive and idealistic in their expectations of humans to behave kindly and intelligently, even though they are frequently betrayed by us. Our odd notions of duty and I love spending time with Temeraire and Laurence. This book has three distinct storylines, and contains hardship and confusion, struggle and defiance, reunions and sunderings, adventure and humor, and sometimes even sweet success and exultation. And war, when they meet up once again with their arch nemesis, Napoleon. These dragons are naive and idealistic in their expectations of humans to behave kindly and intelligently, even though they are frequently betrayed by us. Our odd notions of duty and law and rituals confuse them and they do their best to strip them away and show us the difference between right and wrong. These 'beasts' could teach us a lot if we let them. I read as slowly as I could, trying to make it last, but it was difficult as I just wanted to burn through the pages. I won't say any more, as I don't want to risk spoilers, but I am already wishing I had the next book. Until we meet again, Temeraire, be careful - you are much too impulsive and wanting to rescue everyone (unless they threaten Laurence of course, but you really musn't flatten them, no matter how much they deserve it). Let the divine wind blow! Not the best in the series, but not bad. This book is broken into three parts. Because they could each be stand-alone books, I rate and review each part separately. 2 Stars for Part One, JAPAN: Laurence washed ashore about 60 miles from the only internationally accessible port -- Nagasaki -- after he got swept overboard, hitting his head, and losing his memory. The authorities are hunting him. A Japanese youth named Junichiro plays a role. Meanwhile, Temeraire frets and Iskierka lays their preci Not the best in the series, but not bad. This book is broken into three parts. Because they could each be stand-alone books, I rate and review each part separately. 2 Stars for Part One, JAPAN: Laurence washed ashore about 60 miles from the only internationally accessible port -- Nagasaki -- after he got swept overboard, hitting his head, and losing his memory. The authorities are hunting him. A Japanese youth named Junichiro plays a role. Meanwhile, Temeraire frets and Iskierka lays their precious egg. I don't much care for amnesia-based plots and this part felt pointless and slow. I didn't like the attitude aboard the British ship. But there are cool sea serpents and river dragons. I liked Sui Riu, a water dragon, the Guardian of the West. Vivid rescue scene. 4 stars for Part Two, CHINA: This part reminded me of Throne of Jade. Very good! Would almost go 5 stars if not for amnesia and rehashing past books with shadowy memories, and re-confronting the treason issue. Another weakness is the way Novik waxed on laboriously, showing how Laurence justified his willingness to look the other way with respect to a gay relationship among the aviators, which of course was illegal. It was overkill, and we already went through that in Crucible of Gold. But still, this is the best part of the book. Laurence and Temeraire help to thwart another rebellion / assassination against the emperor's son, Prince Mianming. Excellent pacing and wonderful battle scenes. Loved seeing how General Chu (a dragon) runs a military campaign with more than 200 dragons. Clever organization of food service and supplies. Secondary characters include Lily's formation, Arkady, Tharkay, etc. Laurence recovers his memory towards the end of part two. Finally! A happy scene shows delighted dragons splashing under warm water spouts in the imperial courtyard. Also, part two provides an interesting link with history (Brits engaged in opium smuggling -- bringing it into China to level the trade imbalance, addicting the populace, and some references to the White Lotus Rebellion). 3.75 stars for Part Three, RUSSIA: The setting is Napoleon's 1812 invasion of Russia with his Grand Armée. Excellent alternate history, but incomplete. Several battles commanded by the historically-celebrated General Kutuzov, but the tragic Battle of Borodino is tweaked a good deal. Vivid heartfelt scene of Russians burning their beloved Moscow, so Napoleon cannot gain anything from it. Graphic portrayal of abused and starving feral dragons in the Russian breeding grounds. Characters include General Chu the Chinese dragon, Tharkay (rigged out in silk robes in one memorable scene) and our old Prussian friend Dyhern from Black Powder War. Let me start by saying that Temeraire is easily one of the best characters created in the fantasy genre in the past decade. A fascinating, charming, believable dragon who you would definitely want to be friends with. Unfortunately, in my opinion, this book suffers from Reverse-Jordanitis. Jordanitis is a terrible disease, named after the late Robert Jordan. Jordanitis (an ailment of my own naming) occurs when an author writes too much about too little (I used to joke that Jordan could write 500 p Let me start by saying that Temeraire is easily one of the best characters created in the fantasy genre in the past decade. A fascinating, charming, believable dragon who you would definitely want to be friends with. Unfortunately, in my opinion, this book suffers from Reverse-Jordanitis. Jordanitis is a terrible disease, named after the late Robert Jordan. Jordanitis (an ailment of my own naming) occurs when an author writes too much about too little (I used to joke that Jordan could write 500 pages about Rand al'Thor going to the bathroom). This book suffers from Reverse-Jordanitis in that Ms. Novik has written too little about too much (hence reverse-Jordanitis). The book lurches from Japan to China to Russia and, reading it, I ended up feeling robbed. As the characters jump around there are a number of places where the jump felt "artificial" and where I wanted to know more about what happened. This book could easily have been two books (if not three) and I would have been happy. While previous books have spent time creating the newly-dragonized nations, this time we are only given snippets (the Japan section was especially given short shift in my opinion). And that is exactly what happens in this book. Trouble keeps on coming for Temeraire, Laurence and their friends. One after another tight squeezes and bad luck. Even though I wish the amnesia angle had been written a little differently I still enjoyed this story A LOT. And that is because of the dragons. This book is all about the dragons. Their bond with their riders and their interactions with each other are described at best in this instalment. 4.5, its a really good read, I had a problem with the way lawrance was written in this book, it seemed like a recap of the other books to keep us the reader up to date, but it kinda didnt happen, its hard to explain. the end is good but another cliffhanger ending. Captain William Laurence has fallen into the sea during a tremendous storm, leaving him stranded in Japan with no memory of the past 7 years or his life with Temeraire. The political situation in Japan is about to explode with William sits in the center. Vague memories arise but when Temeraire and William are reunited he still can’t remember their friendship and years together. The story continues as they trek to China and then to Russia. Glimpses of memories resurface but Termeraire is remorsefu Captain William Laurence has fallen into the sea during a tremendous storm, leaving him stranded in Japan with no memory of the past 7 years or his life with Temeraire. The political situation in Japan is about to explode with William sits in the center. The story continues as they trek to China and then to Russia. Glimpses of memories resurface but Termeraire is remorseful about his inability to protect Laurence. This is a completely compelling story that rivets you to the pages. Novik’s work may come out slower than I like but it’s definitely worth the wait. I am amazed every time by Naomi Novik’s ability to write a historical fantasy that makes me feel like I’m actively participating in the story. The perfect combination of funny, character interaction, suspense and drama...if your a fantasy lover you have to read Blood of Tyrants. OMG, did check out this cover!!! This ARC copy of Blood of Tyrants was given to me by Random House Publishing Group - Del Rey Spectra in exchange for a honest review. This book is set for publication August 13, 2013. I am so incredibly disappointed with this book. The author should have waited another year to rethink the extremely poor plot crutch she uses for the first half of the book. Surely she could have come up with something more interesting then amnesia. There was no real need for it except to serve as some sort of stupid explanation of how much Laurence has grown, which could have been much better shown by using Junichiro as a foil. Junichiro is a young Japanese man who helps Laurence escape to the I am so incredibly disappointed with this book. The author should have waited another year to rethink the extremely poor plot crutch she uses for the first half of the book. Surely she could have come up with something more interesting then amnesia. There was no real need for it except to serve as some sort of stupid explanation of how much Laurence has grown, which could have been much better shown by using Junichiro as a foil. Junichiro is a young Japanese man who helps Laurence escape to the sea where he can be picked up and returned to his people. Junichiro follows the dictates of his honor, which are poorly explained and barely examined, which means he has to leave his home. I understand that the author wanted to introduce the Japanese and needed an excuse of some kind to send his Japanese companion (whom is entirely forgotten for almost the entire second half of this book) back to Japan, but really to introduce Junichiro and then completely forget about him until the very last chapter of the book is just lazy, especially when so much of the book is wasted on the useless guilt of Temeraire and a ship wreck. The most interesting part of the book was the very end, when they travel to Russia with a Chinese force to provide aid against Napoleon, and even that is very poorly written until the last couple of chapters. Ultimately this book is no where near as good as the other books, with none of the excellent plot development, and imaginative writing of the other books. With very little exploration of the new cultures and countries visited, and a shamefully lame plot for the first 200 pages, I can say it was almost a waste of my time to read this. I can only hope that this series will end on a positive note, and not become one of those series where the author should have stopped writing midway through. I hated, hated, HATED the soap-opera-esque plot contrivance that dominated the first half of this book, and when it was unceremoniously cast off (with as little logic as it was introduced, I might add) I rejoiced and was able to enjoy the remainder of the book. I was glad to see some old favorite characters who had been left out of the Australian and South American adventures return, the foray into Temeraire's love life was fun and I enjoyed seeing the Chinese dragons take center stage, as well. O I hated, hated, HATED the soap-opera-esque plot contrivance that dominated the first half of this book, and when it was unceremoniously cast off (with as little logic as it was introduced, I might add) I rejoiced and was able to enjoy the remainder of the book. I loved it so much that I haven't really been interested in anything else since I finished it. So much, that I'm only happy reading the series over from the start. Dragons in 1812 Japan, China, and Russia! Dragons! I say! Blood of Tyrants is the 8th book in Naomi Novik's wonderful alternative history of Napoleonic Wars. Completely re-imagined with the addition of dragons as major weapons of war, Novik has journeyed around the world. While the central conflict between England and France forms the main focus of the series, there have been excursions to Brazil, the Aztecs, Australia, Africa and China. While war has always been a mainstay of the series, the poor treatment of the dragons by the British and other count Blood of Tyrants is the 8th book in Naomi Novik's wonderful alternative history of Napoleonic Wars. Completely re-imagined with the addition of dragons as major weapons of war, Novik has journeyed around the world. While the central conflict between England and France forms the main focus of the series, there have been excursions to Brazil, the Aztecs, Australia, Africa and China. While war has always been a mainstay of the series, the poor treatment of the dragons by the British and other countries has also played a major part of the story. In Blood of Tyrants, the Napoleonic Wars are coming to a head. But Laurence is missing off the dragon carrier ship. Beached on the coast of Japan, he has lost his memory and has to survive his encounter with the xenophobic Japanese long enough to rejoin the British. Its a perilous journey. Once Laurence does rejoin Temeraire, they travel to China to seek allies against Napoleon. Again Novik is not afraid to put the onus on the British for the introduction of opium into China. Finally, after some trials and tribulations in China, Laurence and Temeraire journey to Russia to fight Napoleon directly, with the aid of the Chinese dragons. This is not a series that you can join in at this late stage, but Novik still makes it interesting for her fans, just not as compelling a read as the earlier books. Some of the scenes felt old, some of the episodes felt tired. Its still amazing however, how Novik can interweave the dragons into the history of Europe and provide a vivid retelling of this period. More importantly, again we are reminded of the bond between Temeraire and Laurence. Novik also drops a clue here and there about how Temeraire and Laurence can finally escape the clutches of the British and seek their own freedom, but first they must defeat Napoleon in Russia. The book, however ends in mid battle with Winter on its way. Its still a good story, and the amnesia element still showed that on the important issues, irrespective of their previous bond and history, Laurence and Temeraire had similar hopes and values. At the end of the day, Laurence's battle to rejoin Temeraire and be with him is the heart of this story and this series. This was one of the better ones of the series! First 67% was one star. Then the very 67% was eleven stars and the rest came back to usual 4 stars. A more elaborate review will follow. This review has been hidden because it contains spoilers. To view it, click here. I really enjoyed Blood of Tyrants. But I am very aware that a big part of this was because as a long term fan of the series I am already so invested in these characters and this story; and if I wasn’t it might have been a much less engaging read. Blood of Tyrants begins in Japan- a little out of nowhere, since the end of Crucible of Gold suggests our heroes will travel overland and via the Bering strait to get China- an idea which is just dropped. The amnesia plotline that begin I really enjoyed Blood of Tyrants. But I am very aware that a big part of this was because as a long term fan of the series I am already so invested in these characters and this story; and if I wasn’t it might have been a much less engaging read. Blood of Tyrants begins in Japan- a little out of nowhere, since the end of Crucible of Gold suggests our heroes will travel overland and via the Bering strait to get China- an idea which is just dropped. The amnesia plotline that begins here leaves me with mixed feelings. It is a cliché; but some parts of it do work really well. It’s fun to meet well-loved characters again through Laurence’s ‘new’ eyes, and to explore his culture shock with the world of the Corps- and how he himself changed because of it- again. But it also becomes a bit frustrating. What Novik did really well over the last seven books is to take Laurence to a place where he consistently chooses what is ethically right over his political, military, or legal duty. The amnesia plot just repeats this arc again in miniature- and it’s just not necessary. While we do get some interesting hints about the role Japan might play in the Napoleonic Wars in the future, Novik just can’t give C19th Japanese society and politics the necessary complexity in 150 or so pages that it deserved. This is an ongoing problem with much of her worldbuilding: she clearly understands the importance of the representation of people of colour in fantasy fiction, but often doesn’t give herself the pages to give complexity and nuance to them and to non-European societies. As a result, many characters of colour feel othered- especially when viewed primarily through William Laurence’s eyes, as here. China, like Japan, suffers from vaguely-drawn politics. But I loved the new focus on Chinese aerial warfare and how it functions, and felt that on the whole this second section worked really well. Here we are introduced to the key theme of the second half of the book- the importance of supply lines in warfare. This is historically very appropriate to Napoleon’s invasion of Russia and a much more ‘mature’ take on military history than I was expecting. I really liked this. The final section of the novel, set in Russia, has a nostalgic call back to Black Powder War, and a much darker tone than the rest of the book. Actually at times I felt really unsettled, and Novik excellently builds up tension here. The ending genuinely challenged my expectations as well. That said, I knew it was a cliffhanger, so had prepared myself to not get frustrated in advance. But there is an ongoing problem throughout the book- the secondary characters. There are some fantastic new characters in this book that I loved. But pre-existing characters other than Laurence and Temeraire themselves feel largely forgotten about. Mrs Pemberton, for example, goes without a single mention for half the book- and I was racking my brains trying to remember if she’d left the group at the end of Crucible of Gold or not- when her presence is suddenly acknowledged by Novik at the point when she is needed for the development of Laurence and Temeraire’s own relationship. This is clearly not great stuff for a supposedly feminist book series! The problem is that Novik’s secondary character arcs get left by the wayside unless her focus is turned directly on them. She isn’t great at weaving secondary story arcs into the background of the main narrative. Towards the end of the novel there’s a rush to acknowledge character relationships established in previous novels, when there was no reason to not allow these to be developed throughout this book. It’s especially frustrating because one of these is the only queer relationship in the series- we waited seven books for it, and it’s still pretty underdeveloped here. As with her POC characters, it feels like she’s giving lip service to being queer-inclusive, without being truly invested in it. Now this review seems quite negative and I want to stress- I DID love Blood of Tyrants. Laurence and Temeraire carry the book, and I can’t wait to see how she wraps everything up in the last novel. It’s a really enjoyable book, but just not all it could have been. I wasn't as excited about the last two books in the series, despite my enjoyment of the characters, because I signed up for Napoleonic War alternate history fiction and wasn't as interested in Laurence and Temeraire's wandering around Australia and the Americas. This was a welcome return (at least half of it was) to the War, and Napoleon's aggression on Russia. The first half, though, is a digression into Japan which I also enjoyed because I like reading about Japanese culture in the 19th century I wasn't as excited about the last two books in the series, despite my enjoyment of the characters, because I signed up for Napoleonic War alternate history fiction and wasn't as interested in Laurence and Temeraire's wandering around Australia and the Americas. This was a welcome return (at least half of it was) to the War, and Napoleon's aggression on Russia. The first half, though, is a digression into Japan which I also enjoyed because I like reading about Japanese culture in the 19th century, and Novik succeeds in making her alternate history reflect some of the isolationism of that time. Unfortunately, she also gives Laurence amnesia (he loses eight years of his memory), which struck me as sort of unnecessary to the plot. It effectively resets his relationship with Temeraire, since they've only been together for five years, so we're treated to the poignancy of Laurence having to build a new relationship with his best friend and discover everything, good and bad, that happened to him during that time. (Okay. I admit to being amused at his momentary belief that he's Emily Roland's father.) But that's really all it does, increase the tension in sort of a gimmicky way. It's a relief when his memory begins to come back. My other problem is the one I've had since book six, which is that the plot has become a series of short adventures strung together like beads, none of which are long enough to support a full novel and each of which is only tenuously connected to the other. This book has two sections, the first being the escape from Japan and the second being Laurence's mission to bring hundreds of dragons from China to bolster the Russian army. Yes, they're connected, but very loosely, and I find I'm dissatisfied with stories that are less plot than mere connected events. It was only okay for me. And considering most of the rest of the Temeraire series is on my 'touch and you die' shelf at home, that's saying a lot. The story was kind of disjointed with three different adventures (Japan - Laurence loses his memory, China - the team goes hunting rebels, Russia - Back to fighting Bonaparte). The three tales didn't mesh well or lead easily one to another. I kept forgetting who the characters were in the earlier stories and why they were important. I also had a hard ti It was only okay for me. And considering most of the rest of the Temeraire series is on my 'touch and you die' shelf at home, that's saying a lot. I also had a hard time following why the secondary characters were behaving the way they were (particularly in China). It was all mildly confusing and almost nonsensical. The Russian part is HEAVY on combat scenes - which is usually fine. I normally find these engaging because Temeraire makes them interesting. I didn't this time though. They all felt distant and impersonal in a way I hadn't experienced with Temeraire before. They got so boring, I ended up skimming (so sad). The worst part though was that neither Laurence nor Temeraire seemed themselves in this book. Their personalities had somehow lost that larger-than-life quality that makes me read these books again and again. This was understandable for Laurence at first (having lost his memory), but Temeraire was lackluster and a bit whiny/predictable. So disappointing. I love seeing they way each character in these novels slowly changes/deepens/becomes more complex. This book felt like a huge step backwards in all that. More than anything, it felt like it had been written in a hurry without the usual care taken to make it vivid and alive. It also doesn't come to a climax, but just kind of peters out as if rather than finish the tale, the author had run out of time and/or energy to write it. It's kind of sad that there's just one book ahead of me. So. Amnesia thrope. Something I love dearly when it's done good. The contrast between being the person you remember to be and the life you don't remember. It's like time stopped just for you, but not for the rest of the world. And it works well with Laurence, who rememebers himself as this upright navy guy, while in the last book he was finally out of the fucks to give. The way he doesn't even know if he should be thinking about Temeraire It's kind of sad that there's just one book ahead of me. So. Amnesia thrope. Something I love dearly when it's done good. The contrast between being the person you remember to be and the life you don't remember. It's like time stopped just for you, but not for the rest of the world. And it works well with Laurence, who rememebers himself as this upright navy guy, while in the last book he was finally out of the fucks to give. The way he doesn't even know if he should be thinking about Temeraire as a friend or an animal or a weapon, and he remembers only the things before big change. And then he's slowly discovering what he did and he thinks it's Termeraire who might have made him do it. But it's was not the dragon, it was Laurence himself. There's this realization that he has betrayed his country at some point and lost everything but his honor, but the person he remembers himself to be was never able to do so. So what happened? What did the dragon do to make him that person? Damn, it was done well. Advance copy provided by Net Galley-I thought I needed to wait to review it until it was officially released, but the result was that I waited so long to write the review that I forgot why I had only rated it 3 stars originally. I just finished paging through the published copy and feel it deserves a higher rating than my initial one. Ah, Temeraire and Laurence-one of my absolute favorite literary relationships! That is probably why I was so frustrated with the beginning of the book-they're separ Advance copy provided by Net Galley-I thought I needed to wait to review it until it was officially released, but the result was that I waited so long to write the review that I forgot why I had only rated it 3 stars originally. I just finished paging through the published copy and feel it deserves a higher rating than my initial one. Ah, Temeraire and Laurence-one of my absolute favorite literary relationships! That is probably why I was so frustrated with the beginning of the book-they're separated after a storm at sea damages their ship and sweeps Laurence away. I got more and more antsy, the longer they were separated, and the amnesia storyline drove me a little crazy. But there was a lot to love about this second-to-last (boo!) installment-great battles, both small and large; plenty of touching moments between Laurence and Temeraire; (view spoiler)[ the arrival/rescue of Arkady and Tharkay (hide spoiler)] and more meetings with dragons of other cultures. Naomi Novik's imagination is endless. I have issues when I get to the end of series, especially ones as good as Temeraire. For some reason I didn't much like the first book until I reread it, and then it and the rest of this series have become probably my favourite set of dragon books. So, as I close the final page of this book, I can't help but feel a familiar gloom well up within me; I can already hear the thousand reasons I'm going to put off League of Dragons, so that I don't have to finish the series. So that it never ends. Of co I have issues when I get to the end of series, especially ones as good as Temeraire. Of course it will eventually. Then I'll get round to reading Autumn/White Dragon/Wide River, the Golden Age, and whatever other short stories and material I've missed. Then I may reread the entire series. 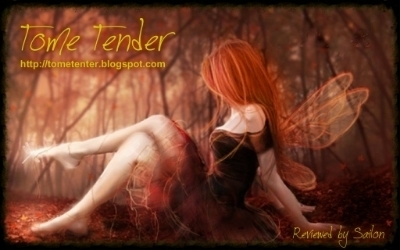 So ends the last published story of Temeraire and Will Laurence until next year. This book started with the most unexpected opening and flew on for one more startling turn after another. I am exhausted from just listening. The war with France is still being waged and we leave the fighting on Russian soil as snow is falling. A five star performance by Simon Vance and and more than five stars, if possible, for Naomi Novik and her imagination. What a story. Bravo! I’ve finally figured it out: this is a buddy cop story. Wait wait wait wait wait—it makes total sense! Think about it. Laurence is the by-the-book, hardnosed detective who has been on the job for years when, one day, out of the blue, this smartass rookie with a talent for learning languages and blowing hot air waltzes into his life. The two become partners and start working cases together, and Temeraire keeps getting Laurence in trouble, but Laurence always has Temeraire’s back—because even if La I’ve finally figured it out: this is a buddy cop story. Wait wait wait wait wait—it makes total sense! Think about it. Laurence is the by-the-book, hardnosed detective who has been on the job for years when, one day, out of the blue, this smartass rookie with a talent for learning languages and blowing hot air waltzes into his life. The two become partners and start working cases together, and Temeraire keeps getting Laurence in trouble, but Laurence always has Temeraire’s back—because even if Laurence does value procedure, deep down, his heart agrees with his new partner. I figured this all out because Blood of Tyrants takes one of the most tired, soap operatic plot devices of all time (amnesia, oooooh, scary) and turns it around and uses it to good purpose. Although the first half of this book still feels a little too long, most of it is actually a pretty good story. As someone who, unfortunately, isn’t sad to see this series end—because it rather feels like it has lost the wind from its sails—this is a much better penultimate story than I was looking for. Naomi Novik manages to remind me why I fell in love with Temeraire and her storytelling in the first place. As mentioned above, the story opens with Laurence having amnesia after being tossed overboard. This isn’t really a spoiler, I hope, because it is literally in the back cover copy and also on the first page. He winds up in Japan, which is closed to foreigners at this point in time, so that’s rather bad news. Meanwhile, Temeraire is beside himself wanting to look for Laurence, but there’s a dragon transport to fix and the whole closed-to-foreigners thing to be mindful of. The storyline unfolds in parallel for a hundred pages or so until the two are reunited (again, not a spoiler, it’s on the back of the book), though it’s unclear whether Laurence’s memory will ever return. So we have a dude who thinks he’s a Navy captain being told he’s actually an aviator for a very independently-minded dragon. Oh, and they are traitors. Were traitors. Napoleonic War Facebook status is: it’s complicated. Oh man is it ever complicated. At this point Novik’s alternate world looks extremely different from the nineteenth-century Earth we’re used to, and that isn’t a bad thing. In particular, this novel gives us tantalizing glimpses into what the American colonies, one place Laurence and Temeraire haven’t managed to end up, are like at this point. We meet a dragon from those colonies who is part-owner of a shipping company. It appears that basically everywhere except a handful of European countries treats its dragons as competent persons, and that’s a subtle but intriguing revelation. It was also nice to return to China after so long away. We spend less time focusing on China itself and how its dragons and humans co-exist. But there are some nice moments, and of course, a new Chinese dragon general character who accompanies Laurence and Temeraire to Moscow. Chu’s cool. Once we finally make it to Moscow, the plot really picks up the pace. We see the frustration of trying to account for all the logistics involved in dragon warfare. We see how close these allies come to being defeated, not by superior weapons or numbers on the side of the French, but a simple inability to cooperate and listen to each other. It’s some of your typical military fiction themes, of course, but presented very well. There are a few side-plots to keep things interesting and keep us on our toes, and I like how Novik dovetails them all together towards the end, instead of letting them just lapse. Laurence runs into Napoleon in person again. And there is an interesting exchange between Laurence and the Russian general towards the end of the book that aptly underscores the entire series, I think: Kutuzov basically accuses Laurence and Temeraire together of having almost as much, if not more, of a world-changing impact as Napoleon himself, what with their abolitionist, pro-dragon politics being spread literally the world over. It’s one of those “huh” moments when the protagonists realize how far they’ve come from the first book when they are pretty much nobodies, and it is a nice chance for the series to acknowledge, without being too meta, how far it has come. One more Temeraire novel to go. As I already said, I am not sad to reach this point. 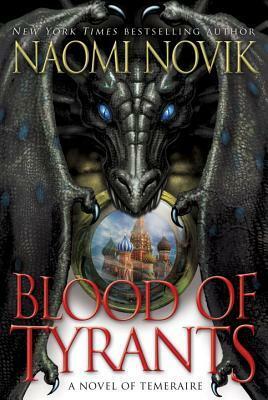 Blood of Tyrants is another solid entry in the series, so I’m optimistic that Novik can deliver a satisfactory finale. But it’s time. Eh. This is getting a begrudging, bitter 3 stars from me in recognition that it's fine and lots of people will thoroughly enjoy it - but it leaves me cold, frustrated and no less annoyed than the previous volume. If I was rating on enjoyment alone, it would be 2 stars at best. It starts with one of my pet peeve tropes (amnesia) and feels like filler to me, rather than a meaningful contribution to plot or character arcs. It also reminds me of my core concern when I first started reading Temeraire: Eh. This is getting a begrudging, bitter 3 stars from me in recognition that it's fine and lots of people will thoroughly enjoy it - but it leaves me cold, frustrated and no less annoyed than the previous volume. If I was rating on enjoyment alone, it would be 2 stars at best. It starts with one of my pet peeve tropes (amnesia) and feels like filler to me, rather than a meaningful contribution to plot or character arcs. It also reminds me of my core concern when I first started reading Temeraire: I don't remotely like military novels of any persuasion. The final act was hard going, and I really am getting awfully close to cheering for Napoleon. I honestly don't see much to celebrate about any of his opponents. Frankly, I don't care HOW hard Murat considered his actions at the end there; I'd give him a medal. For what it's worth, I enjoyed the interlude in China. I think I've already said everything I can about this series, so I'm going to settle for a short; I LOVE IT!! And the language in this one is vastly less difficult to read, which is only beneficial. Only one more book to go, before this series is over, and I'm as always really reluctant to read the last book. Who wants their favorite ANTYHING to be over? It's Winter. In Russia. Lol @ Napoleon. Side note, I really like how his nickname is "Bony."